Introduction: Fever is one of the most concerning issues in public health, which occurs fairly frequently and is a precursor for the occurrence of seizure in childhood between ages of 6 months to 6 year children. Therefore the current study aims to determine the effect of education based on Health Belief Model (HBM) in mothers about preventive behaviors regarding febrile convulsion in children. Methods: This study was conducted as a randomized clinical trial in which 200 mothers (were divided to intervention (case) and control groups randomly) with children 6 months to 3 years referring to health centers in Rezvanshahr participated. The data collection instruments is a questionnaire developed based on HBM. This survey included questions on knowledge, aspects of health belief model, and performance. After needs analysis that was done in the pretest, the educational program was designed and implemented in the experimental condition based on the aspects of the model. Results: There was no significant difference between the two groups in demographic variables (P>0.05). The average knowledge score, aspects of the model, and performance increased significantly in the case group (P<0.05). 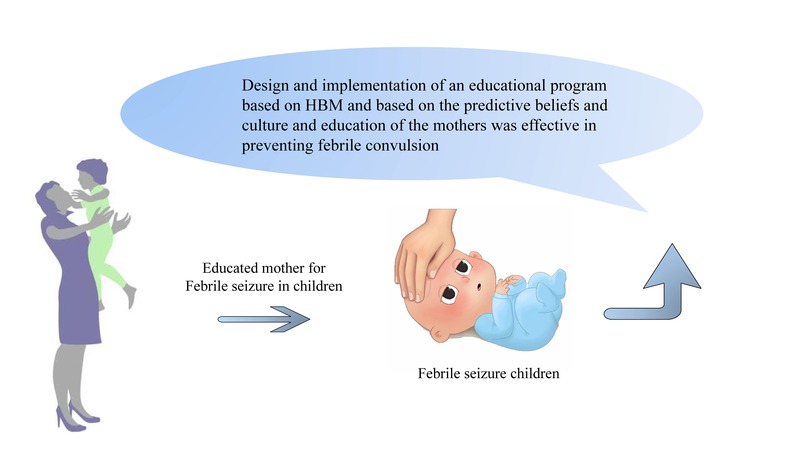 Conclusion: The results of this study indicated that the design and implementation of an educational program based on HBM and based on the predictive beliefs and culture and education of the mothers was effective in preventing febrile convulsion. 2. Edbor AJ, Arora AK, Mukherjee PS. Early Management of Fever: Benefits of Combination Therapy. Bombay Hospital Journal. 2011;53(4):702-5. 3. Marcdante K, Kliegman RM. Nelson Essentials of Pediatrics E-Book: Elsevier Health Sciences; 2014. 8. Hazaveyee MS, Shamsi M. The effect of education based on Health Belief Model (HBM) in mothers about behavior of prevention from febrile convulsion in children. Scientific Journal of Hamadan Nursing & Midwifery Faculty. 2013;21(2):37-47. 9. Hassanpour Onji S, Ghofrani M, Taheri Deraksh N, Ziaee A. Determining the Risk Factors of Recurrent Febrile Seizure in Children Referring to Hazrat-e-Ali Asghar Childrens Hospital. Razi Journal of Medical Sciences. 2009;16(65):0-0. 10. Rkain M, Rkain I, Safi M, Kabiri M, Ahid S, Benjelloun B. Knowledge and management of fever among Moroccan parents/Épisode fébrile chez l'enfant: connaissances des parents marocains et prise en charge par ces derniers. Eastern Mediterranean Health Journal. 2014;20(6):397. 11. Kanemura H, Sano F, Mizorogi S, Tando T, Sugita K, Aihara M. Parental thoughts and actions regarding their child's first febrile seizure. Pediatr Intl. 2013;55(3):315-9. doi: 10.1111/ped.12058. 12. Namakin K, Sharifzadeh G, Rezaee S. Demographic and clinical characteristic of febrile convulsion in children admitted in Valiasr hospital of Birjand. 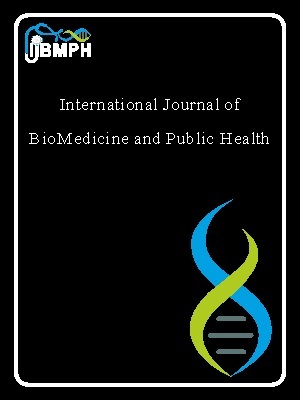 Journal of Birjand University of Medical Sciences. 2010;17(4):281-7. 14. Haerian- Ardakani A, Mohmedi M, Mazloomi Mahmodabad S, Akbari S, Zare D. Comparison of the Effect of Oral Health Education Delivered by a Dental Student and Health Volunteers on the Knowledge, Attitude and Performance of Housewives. Tolooebehdasht. 2013;12(3):184-93. 15. Mansourian M, Qorbani M, Rahimzadeh Bazraki H, Charkazi A, Asayesh H, Rezapoor A. Effect of nutritional education based on HBM model on anemia in Golestan girl guidance school students. Iran J Health Educ Health Promot. 2013;1(2):51-6. 16. Hashemi Parast M, Shojaizade D, Dehdari T, Gohari MR. Design and evaluation of educational interventions on the health belief model to promote preventive behaviors of urinary tract infection in mothers with children less than 6 years. Razi Journal of Medical Sciences. 2013;20(110):22-8. 17. Razi T, Shamsi M, Khorsandi M, Roozbehani N, Ranjbaran M. The Effect of Education based on Health Belief Model (HBM) on the Promotion of Mothers Behavior about Danger Signs in Children less than Five Years axxording to IMC(Integrated Management of children Illness). Arak Medical University Journal. 2015;18(7):34-45. 18. Mortada EM, El Safie OS. Effectiveness of Health Education Intervention on Improving Breast Self Examination among Female teachers: Applying Health Belief Model. The Egyptian Journal of Community Medicine. 2013;31(4):17-40. 19. Pirzadeh A, Sharifirad GR. Effect of educational program on knowledge and health belief model structures about acquired immune deficiency syndrome (AIDS) among high school female student in Isfahan, Iran. J Gorgan Univ Med Sci 2012, 14(3): 66-71. 20. SohrabiVafa M, Moeini B, Hazavehei M, Soltanian A, Rezaei L. The effect of education based on Health Belief Model in decreasing dental plaque index among first grade of middle - school girl students in Hamadan. J Urmia Nurs Midwifery Fac. 2013;11(8):639-48. 21. B P. Evaluation of an Educational Intervention based on Health Belief Model in Promoting New Born Screening Behavior of Mothers for Early Detection of Children with Congenital Hypothyroidism. J J Commun Med. 2015;2 (1):15. 22. Movahed E, Arefi Z, Ameri M. The Effect of Health Belief Model-Based Education (HBM) on Self-Medication among the Male High School Students. Iran J Health Educ Health Promot. 2014;2(1):65-72.